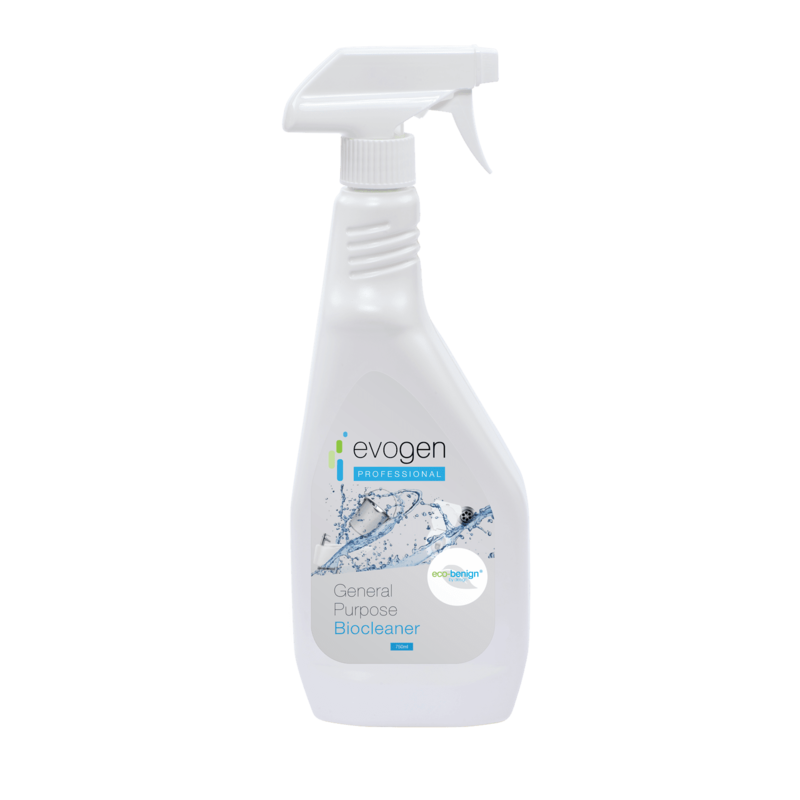 Available in 5 litres as a dilutable concentrate (10X) and a ready to use product in 750ml trigger sprays. 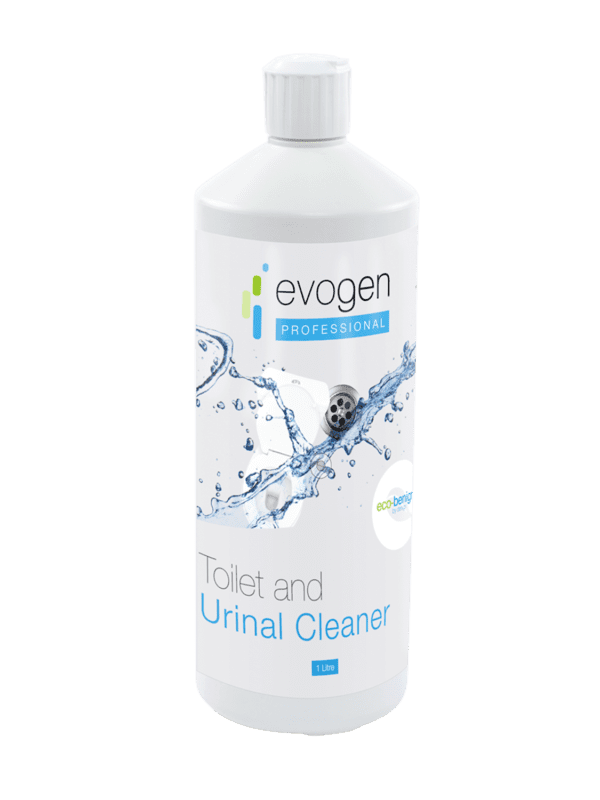 Evogen Professional General Purpose Biocleaner is a unique biological hard surface cleaner combining eco-benign® chemistry and application-specific beneficial bacteria to offer an innovative way of cleaning a wide variety of hard surfaces such as toilet bowls, sinks, bathroom fixtures, bathroom floors, etc. General Purpose Biocleaner is the essential component for commercial toilet products and professional cleaning supplies. It is available in a dilutable concentrate (10X) and a ready to use product. 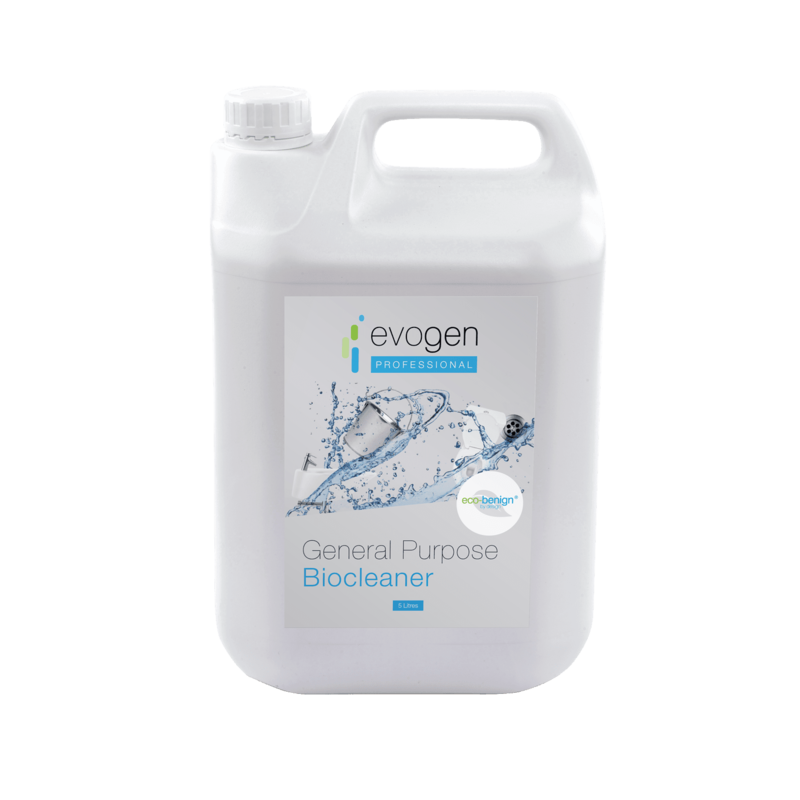 Evogen Professional General Purpose Biocleaner contains an effective blend of Bacillus organisms, selected specifically for accelerated degradation of organic material that builds up on hard surfaces overtime. The specific Bacillus strains have been selected for their ability to degrade organic compounds such as grease, fats, proteins, starch and complex carbohydrates. The beneficial bacteria penetrate deep into tiny imperfections and pores where persistent dirt hides, continuing to work long after the product is applied. 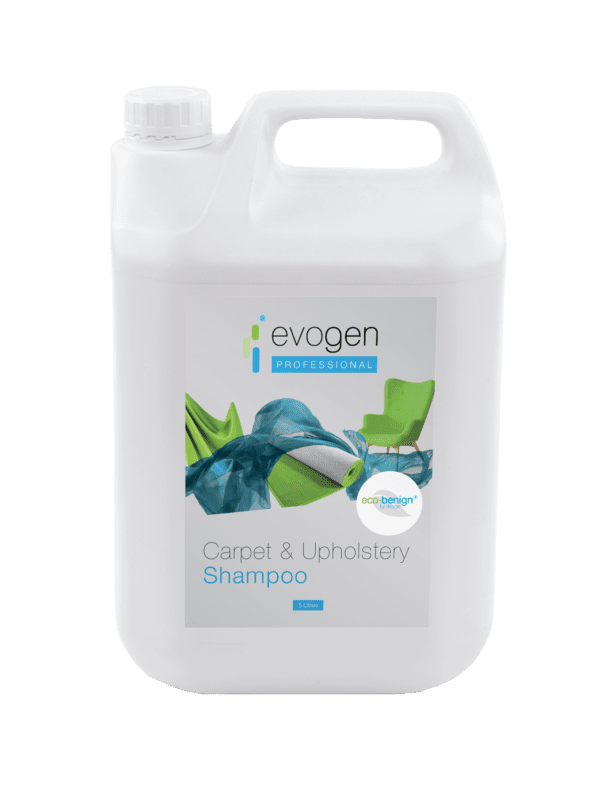 Continued use of Evogen Professional General Purpose Biocleaner in residential, institutional and industrial provides a safe and efficient way of cleaning, deodorising, and removing stains on hard surfaces and continues to work whilst soiling is present. Shake well before use. For surfaces, dilute with water at a rate of 1:10 into a spray bottle. Spray onto surface, wipe using a microfibre cloth. For floors; dilute into a bucket of water and mop floor as normal. 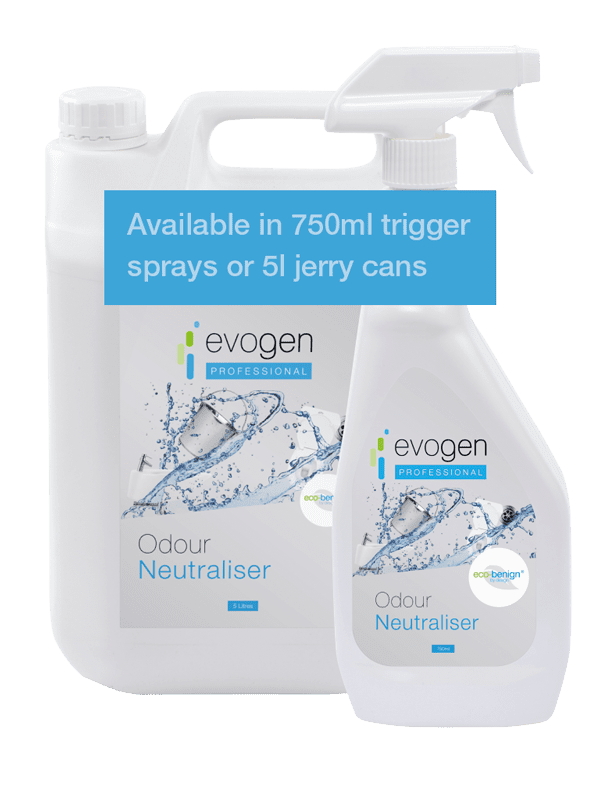 We like to ensure all our products deliver a great ROI for our customers - that's why 1 case of our General Purpose Biocleaner product (2 x 5L jerry cans) is equivalent to 133 x 750ml trigger sprays, so you can be assured of product longevity alongside its already high quality. Optimised proprietary bacterial consortium: Degrades a broader spectrum of substrates including grease, fats, proteins, starch and complex carbohydrates. Ideally suited to washroom and lavatory applications: includes a modern highly biodegradable scale control package that is highly-effective at reducing scales associated with hard water. Manufactured in accordance with recognised international standards, ISO 9001 and ISO 14001. Ensures consistent quality of product.